New research is shedding light on how a rare bone tumor develops. 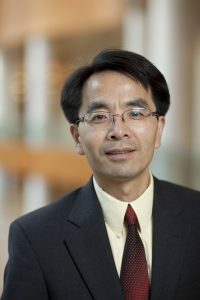 Zhiguo Zhang, Ph.D., a researcher at the Mayo Clinic Center for Individualized Medicine, studied how a mutation contributes to bone tumor growth by impacting the epigenome — a series of chemical modifications that change how genes are expressed. His paper published in Science Magazine could lay the foundation for treatments and to understand how genetic mutations affect other tumors. Dr. Zhang’s study focuses on a rare tumor of the human skeleton called a chondroblastoma that usually develops in the teenage years. Ninety-five percent of these tumors have the same genetic mutation, so the researchers wanted to solve the riddle of why this defect causes tumor growth. Uncovering this mystery could potentially lead to better treatments for these tumors, because current treatment options are limited to surgeries that are dangerous and often don’t work. The findings could also aid in drug development and screening tools for other genetic-based tumors. Dr. Westendorf says that although scientists previously understood that this mutation was present, there were key unanswered questions. “The question is why? Since it’s a common mutation, it’s bound to contribute to the formation and/or expansion of these tumors,” says Dr. Westendorf. Using gene-editing technology, researchers came away with several key findings: first, that the genes were no longer creating healthy cartilage. Second, changes in the epigenome — the chemical signals that tell the gene what to do — had a cascading impact that was changing many other genes. That was causing tumor growth by gumming up the cellular machinery needed to control the tumor and make healthy cartilage. “This research lays the foundation for understanding these and other tumors, but it is only the beginning,” says Dr. Westendorf. 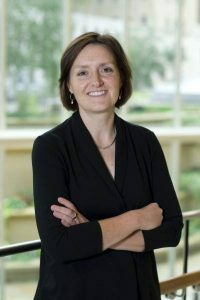 The research was funded by the National Institutes of Health, the National Science Foundation of China and the Epigenomics Program at the Mayo Clinic Center for Individualized Medicine. The Center for Individualized Medicine supports research that targets and treats genetic diseases. Dr. Westendorf is the Margaret Amini Professor of Orthopedic Regenerative Medicine Research. Dr. Zhang now works for Columbia University. Learn more about ongoing research efforts in the Center for Individualized Medicine’s Epgenomics Program, including a list of current research projects and educational initiatives for medical students, trainees and physicians. Hear experts discuss the latest research in precision medicine, including epigenomics, and how it can be applied to improve treatments for many conditions, such as heart disease, cancer, rheumatoid arthritis, Alzheimer's disease and autism.